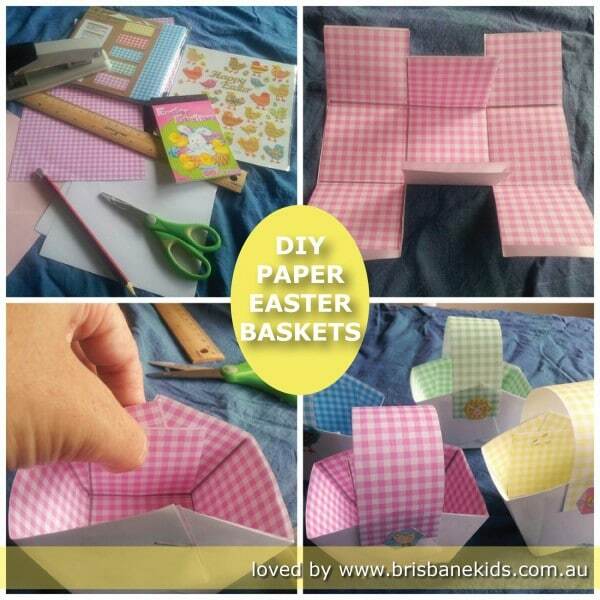 This simple basket can be made by Brisbane Kids of all ages from materials you probably already have at home. 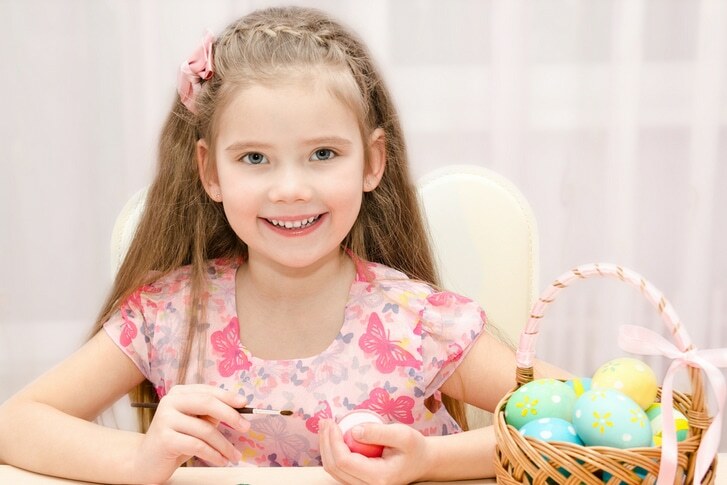 It it a wonderful activity to get into the spirit of Easter, whilst also building fine motor skills. 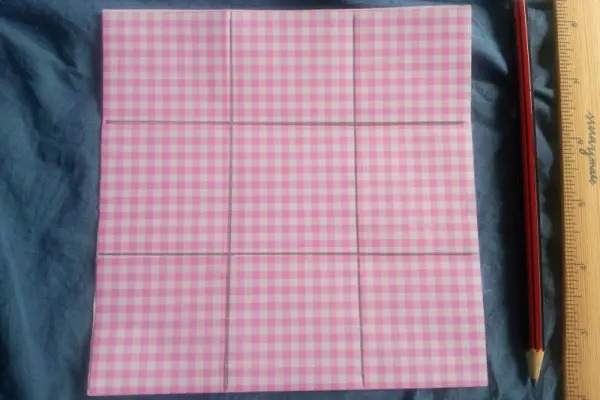 Cut paper into two squares measuring 15cm by 15cm. 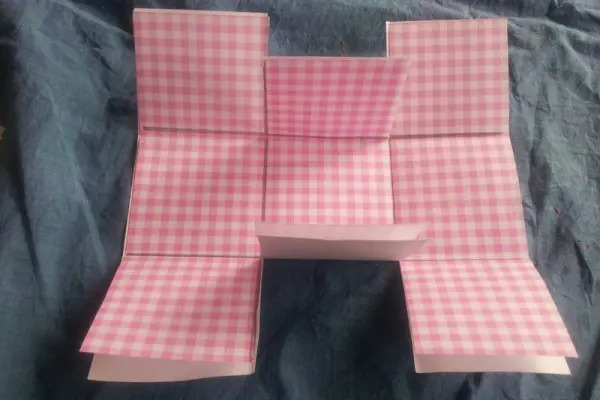 Place the pieces of paper on top of each other. 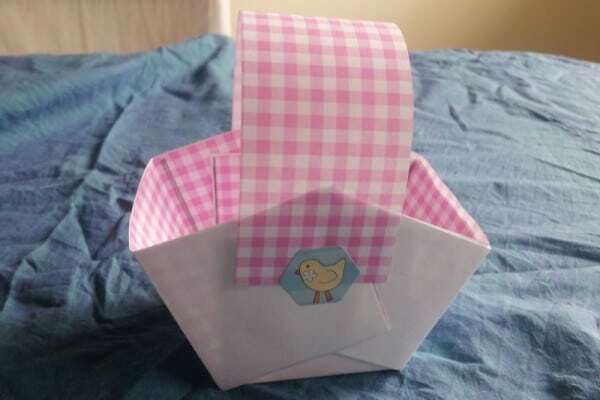 The paper on the top will become the lining of the basket, whilst the paper on the bottom will become the outside of the basket. 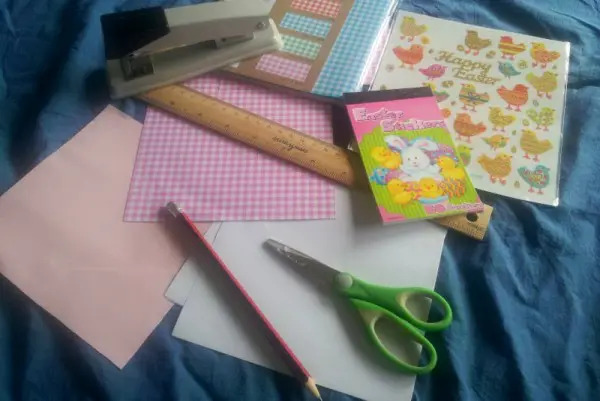 Use a ruler to draw a grid onto the top sheet to become nine even squares. 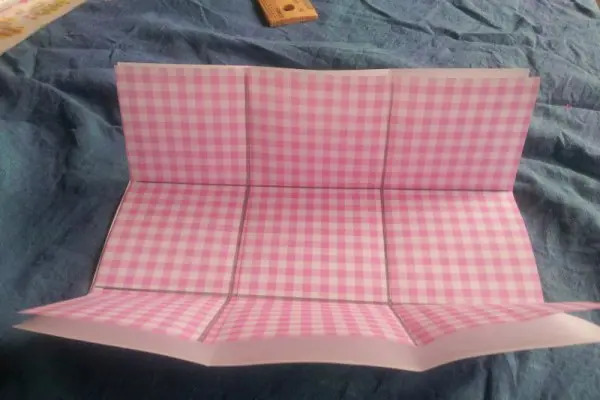 With both sheets of paper held together, fold paper into thirds (following the grid lines). Repeat to ensure a crisp fold on all grid edges. Use scissors to cut two lines from two opposite edges in towards the centre square of the grid. The centre square of the grid will become the base of the basket. 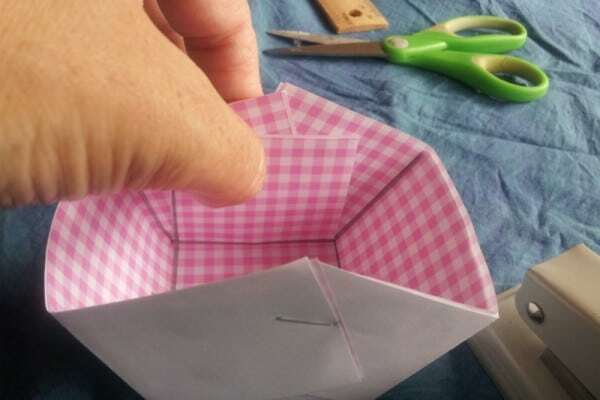 Bring the edges in towards the centre to form the sides of the basket and staple into place. 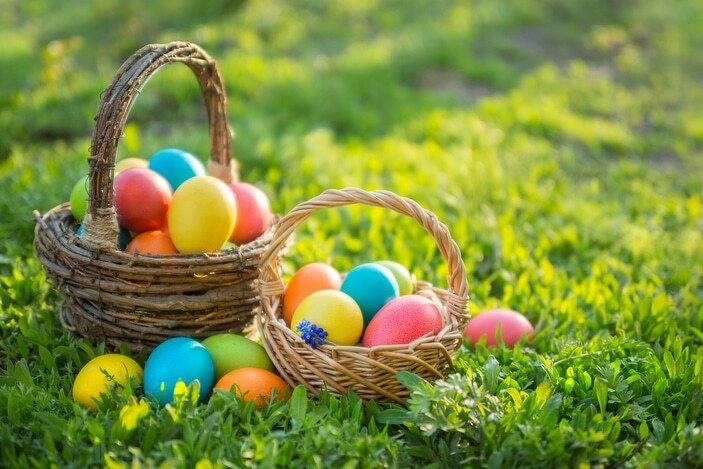 Repeat with other side of basket. 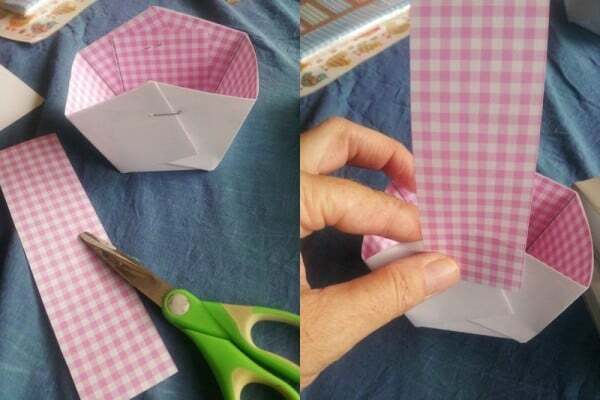 Cut a strip of paper and staple to the outsides of the box to form a handle. 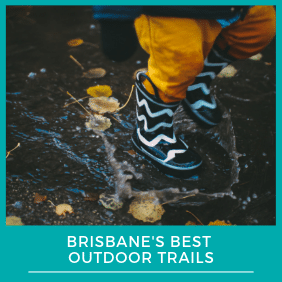 Decorate with stickers (use to cover staples) or whatever materials your Brisbane Kids desire. 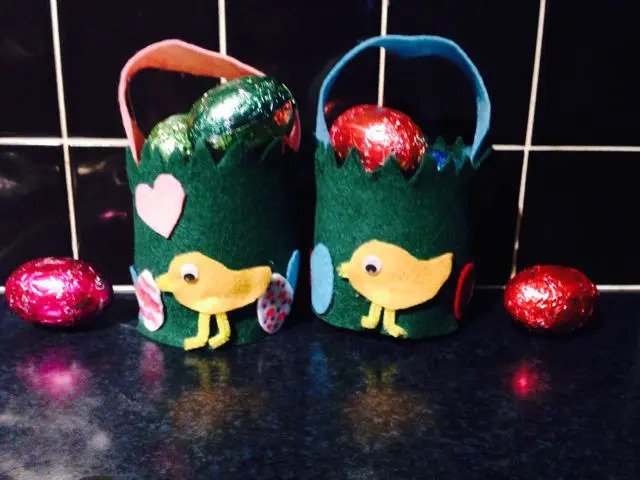 NOTE: Using two pieces of paper makes the baskets stronger and it can look very cute with a different coloured lining. 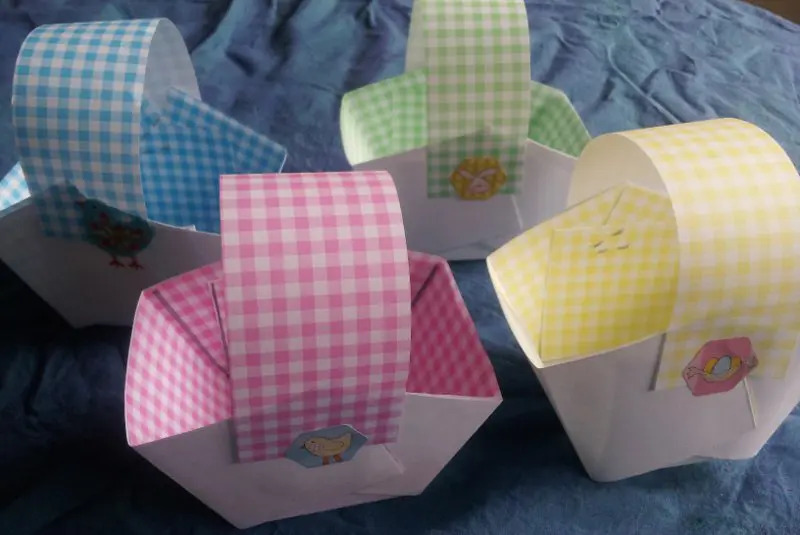 15cm x 15cm is a great size for mini baskets, but bigger baskets can be made using larger sheets of square paper.